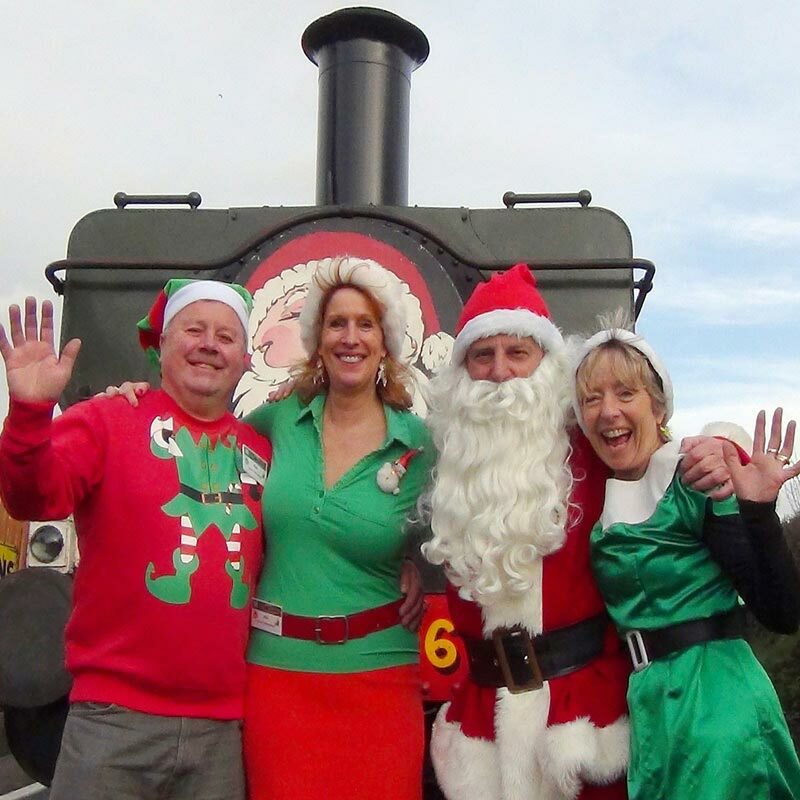 Come and join us for a festive train ride and meet Santa on one of our Steam Specials that is on in during December. Santa and his Elves will visit every family during the journey and they will provide quality presents for all fare-paying children and young people between the ages of 1 to 15 years. Everyone can also enjoy a spiced hot berry cordial and a delicious mince pie served at your seat (alternative squashes and biscuits are also available for younger children). There are 5 timetabled trains that you can choose from to book (all seats are reserved through our online booking system on our website); these are 10.15, 11.30, 13.00, 14.15 and 15.30.